Jetsetting art duo Sheryo and The Yok have returned from Java, Indonesia, where they’ve spent the last two months living in a small village learning the ancient technique of Batik. The pair returns with amazing hand-made, one off works on fabric and are exhibiting this Friday night August 1, from 7.00 – 9.00 pm at Krause Gallery. 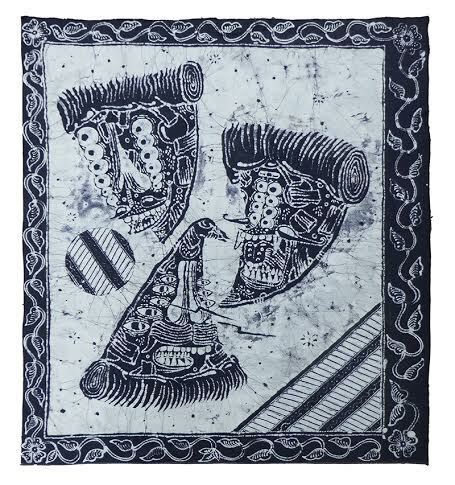 And be sure to take a look at their batik process video below.